An all-new world awaits you at the Oracle Arena on Thursday 1st March 2018!! 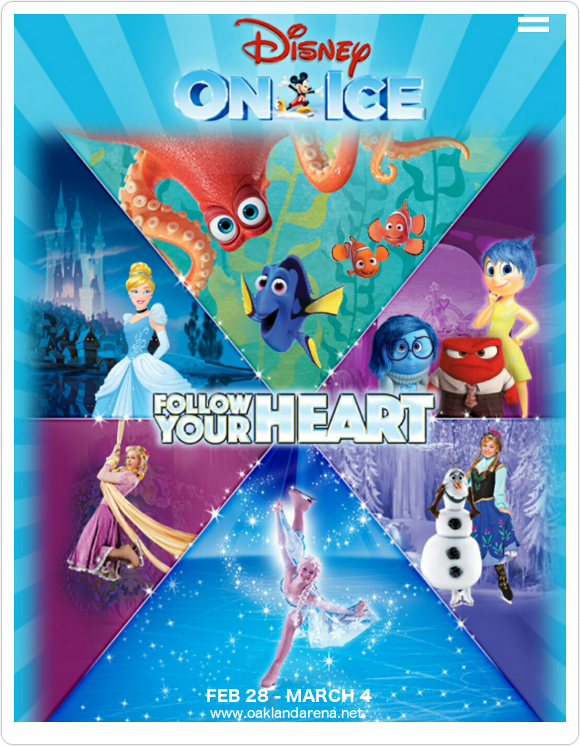 Disney On Ice brings you Follow Your Heart – starring the main characters from Finding Nemo and Finding Dory in addition to characters from Toy Story, Inside Out, and more of your kid’s favorite films and cartoons! Tickets in high demand – early booking is recommended to get the best seats. Experience the nostalgia for yourself! Get your Disney On Ice: Follow Your Heart tickets today! !